Little did I realise that there would be a major exhibition opening on Henri le Douanier Rousseau when I wrote about him on 3rd February on this blog. Let me add the information. 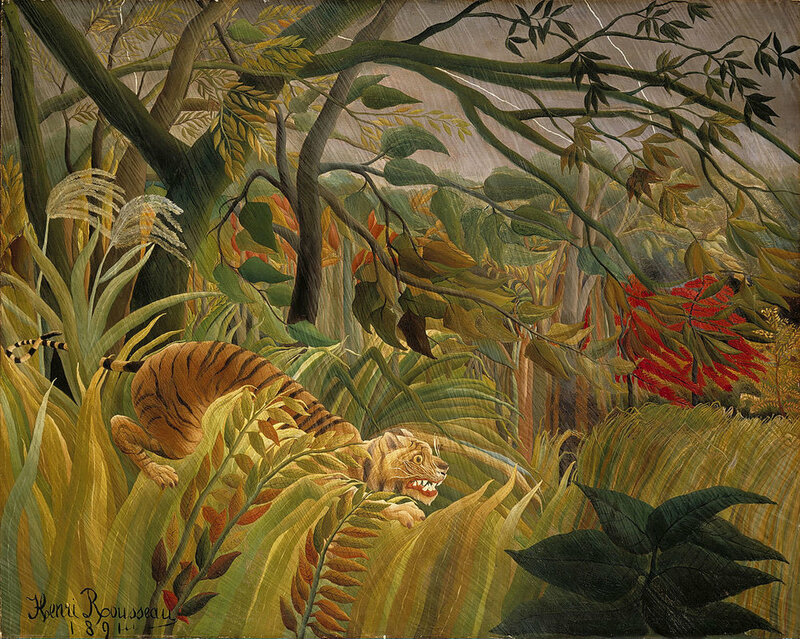 The Fondation Beyeler in Basel, Switzerland, has just opened an exhibition on Rousseau, as I learned from ArtDaily.org. Small portraits, landscapes of suburbs and the French countryside, as well as larger works of his jungle themes are apparently complemented by photographs, one of Rousseau's great interests. Examining Rousseau's role as a pioneer of modernism was the major thrust of curators Philippe Buttner, Curator of the Fondation Beyeler, and Christopher Green, Professor Emeritus for Art History at the Courteauld Institute, London. 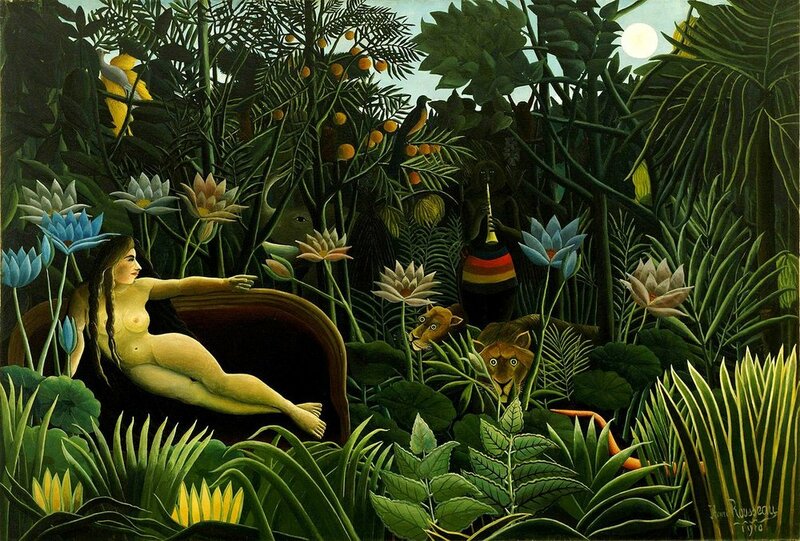 I quote from the ArtDaily.org article: "Rousseau introduced a new approach to imaginative vision into painting. His perception of reality was based primarily on observation, imitation and transformation of the visible. In this way he taught modern artists how things known could be constructed using the building blocks of the known. He established a new logic and mechanics of compositional structure that profoundly affected subsequent artists, all the way down to the Surrealists."